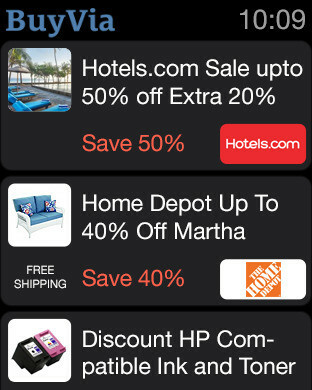 Local Coupons, Barcode Scanner, alerts when items fall in price, Download BuyVia NOW! As seen in NY Times, Washington Post, CNN, Forbes, TechCrunch, and USA Today. 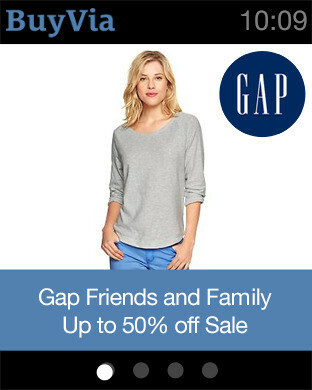 We shop the best deals from leading stores including Amazon discounts, Best Buy, Dell coupons, GAP, Home Depot, Kohls, Macys, Newegg, Nordstrom, Old Navy, Staples, Starbucks, Target, Walmart, and many others. Never miss a hot deal again. Youll find slick deals and can compare prices on apparel, home items, shoes, tablets, laptops, TVs, Smartphones deals, and more. BuyVia helps you find the lowest prices on products from both online and local stores, it also aggregates all of your favorite deal sites in one place so you can compare prices. UPC Barcode scanner, QR code, and search function allow you to find the lowest price. 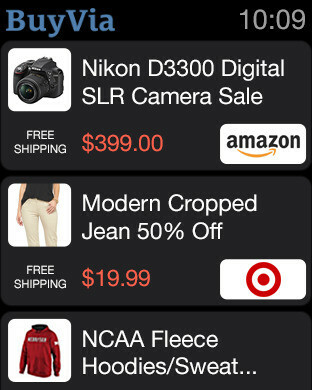 BuyVia app/website lets you securely purchase products or save your searches for later shopping. 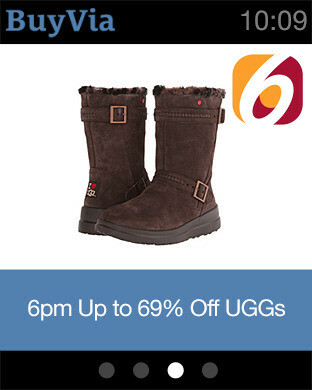 Set a shopping alert to receive a push notification or email when sales occur, whether the deal is online or local. Automatically enter store logins with 1Password digital wallet Integration. If you use the Local Store Shopping Alert feature for a specific product, to watch for local sales, we will use the GPS to find deals. Continued use of GPS running in the background can decrease battery life. We use low power iOS significant location change. BuyVia help you save money locally and online with coupons and deals from stores you Like on products you Want.